Let’s face it-I have become a bit of a snob and rarely browse the makeup aisle at the drugstore these days (unless they have NYX, of course). A while back, I went on a fairly intense drugstore foundation shopping spree. There are a couple of obvious advantages to finding a great drugstore foundation. 1.) The price. You don’t want to be sentenced to a lifetime of wearing expensive foundations, do you? I feel fancy wearing pricey foundation, but not every day deserves to see that gorgeous stuff on my face. 2.) They are available almost anywhere, so you’re not completely screwed if you forget to bring yours along on a trip or you wait entirely too long to place your Sephora order and run out of the good stuff before the replacement comes in (guilty). In short, it’s always nice to have a backup plan when life starts throwing wildcards at you. 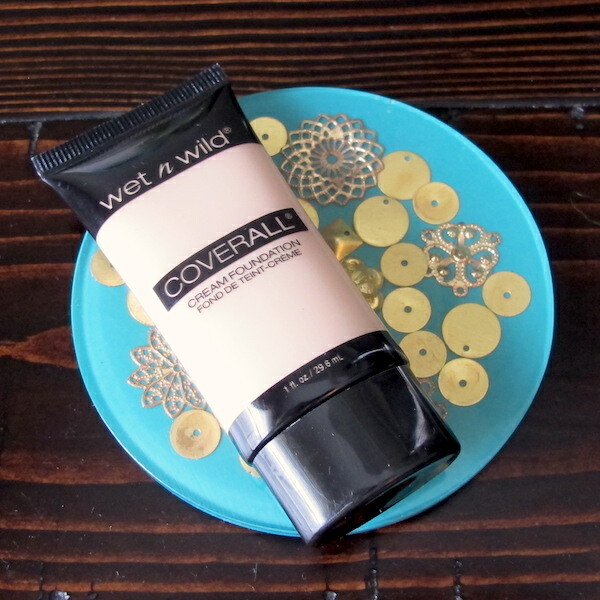 Wet n Wild Coverall Cream Foundation in 815 Fair was one of the foundations I picked up because I’ve heard some pretty good things about it. For $3.99, I really didn’t have much to lose if it didn’t work out. Creature of habit that I am, I never actually touched the Wet n Wild Coverall Cream Foundation until I was pretty much forced to. My usual Make Up For Ever Mat Velvet + Matifying Foundation was running low and I was being indecisive about ordering more since I’m still not 100% happy with it. Before I knew it, the tube was completely empty and I still hadn’t made a decision, so I dug through my other foundations and grabbed the one that matched my skin the best-the Wet n Wild. It comes in a tube with a little squeeze nozzle to control the flow, which I am always a huge fan of. This is probably the first time I have ever found a drugstore foundation that was nearly a dead match on my skin. LOOK AT THAT. Did you even know that blended swatch was there before I said anything? 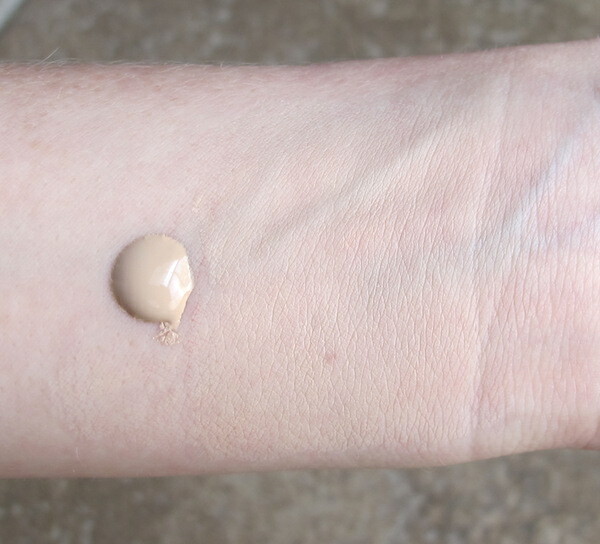 This is the lightest shade this foundation comes in, and it’s mostly neutral but leans slightly warm with a pinch of yellow to it. Still, the warmth is so slight that it works just fine with some of those cooler pink tones in my skin, and it is perfectly pale for a ghosty-ghost like me. 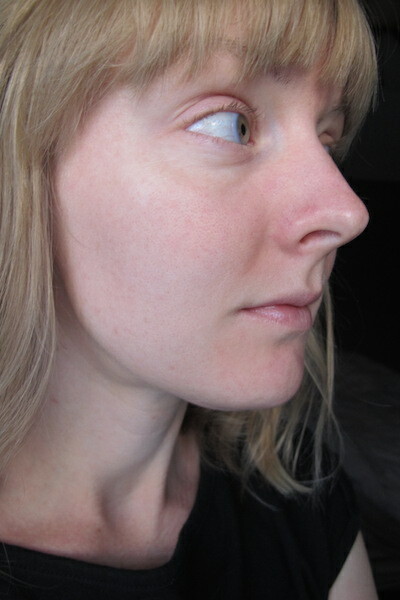 My main problem areas are around my nose where I have a few blood vessels that have come out to play and some redness around my nose and chin from those being the most sensitive areas on my face. It has a nice consistency that is just thick enough to keep from running off my hand while I’m applying it. I feel the medium-to-full coverage description is accurate. It is very buildable without caking up while still feeling very lightweight. One thing I did notice is that it takes much longer to dry than my MUFE foundation and it tends to look very streaky and cakey when first applied. However, once I cover my entire face using a Beautyblender and give it just a little time to dry up, I can blot the Beautyblender over it to smooth everything out and get it looking nice and uniform across my face. Still, I find that it never really feels completely dry on me. Even after adding a finishing powder, it feels slightly tacky in some areas where I’ve added more coverage. The satin-matte finish is nice because my skin is so oily that I don’t want to end up looking really greasy with something that has a more dewy finish, but I also don’t want to look too matte and powdery. There’s not really a thorough explanation for what VisiBright complex is, but I assume it roughly translates to either some kind of anti-aging formula or something like “light reflecting minerals that smooth fines lines and all that jazz”. Since I only have very fine lines below my eyes, I can’t really say how effective it is, but it hasn’t made them magically disappear. They still look exactly the same. I do appreciate that the foundation doesn’t settle in those lines or crease around my mouth when I smile like my MUFE foundation does, though. As far as all day wear goes, they probably aren’t talking about people like me. Since my skin is so oily to begin with, I have a hard time keeping almost any foundation on all day. 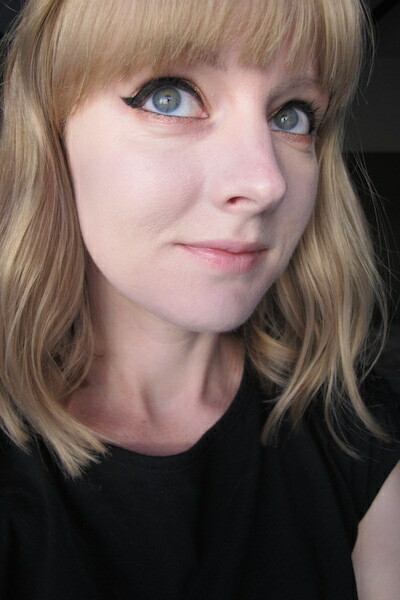 It looks decent enough throughout the day, but in the areas I am the oiliest, it starts caking up after just a few hours. By the end of the day, I am a melty-faced mess. Once the temperature hits 90+ degrees, I probably won’t be able to wear it at all. For $3.99, I can’t really complain about the few flaws in this foundation. I think it would actually be fantastic for those who have less oily skin where it would probably wear better throughout the day. It’s suitable for a normal day when I don’t really feel like busting out the expensive stuff just to go to the grocery store or for when it’s not really necessary for it to last for a lengthy amount of time. 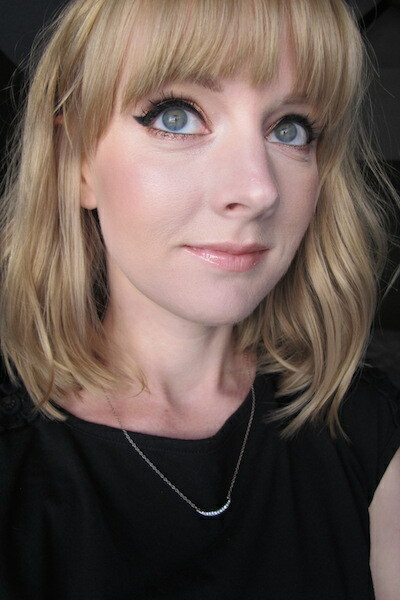 I managed to wear it for a couple of weeks before replacing my MUFE foundation without going completely crazy, and that is the point. To have a cheaper, more accessible alternative if I need it. I agree that I don’t want to pay “full price to pricey” for foundation…I think I might give Loreal or Maybelline a try if paid at place that do refunds! Glad this foundation works for you for less than $4! I enjoy splurging on foundation occasionally if it’s a great product, but for every day, I’d rather wear something more affordable and save the good stuff for special occasions. I’ve never really taken advantage of it, but my local grocery store will do returns if I don’t like a product. It would definitely be good for trying out new foundations if I can ever manage to hang onto my receipt for long enough! Inclined to give this a try, but I think I may be too white/pasty. Damnit. © 2019 Makeup Vault. All rights reserved.